Symphony chooses the best selection of cable lines and equipments from reputable manufacturers with universal industrial standard. Selection is made from stipulating cable and equipment specifications with manufacturer and assessment and examination by Symphony’s team of experts. Customers can be assured that they will have the finest selection of cables and equipments especially selected by our team of experts. In addition, Symphony received MEF Certificate as Ethernet provider from the Metro Ethernet Forum (MEF) in accordance to MEF9 and MEF14 standards as a guarantee of superior service quality and unrelenting development. is the standard in assessing quality and the capability in data transmission from source to destination via Ethernet network as well as the transmission ability of equipments and parameters including the ability to transmit data across each interface connecting to customer’s equipment or User Network Interface (UNI). 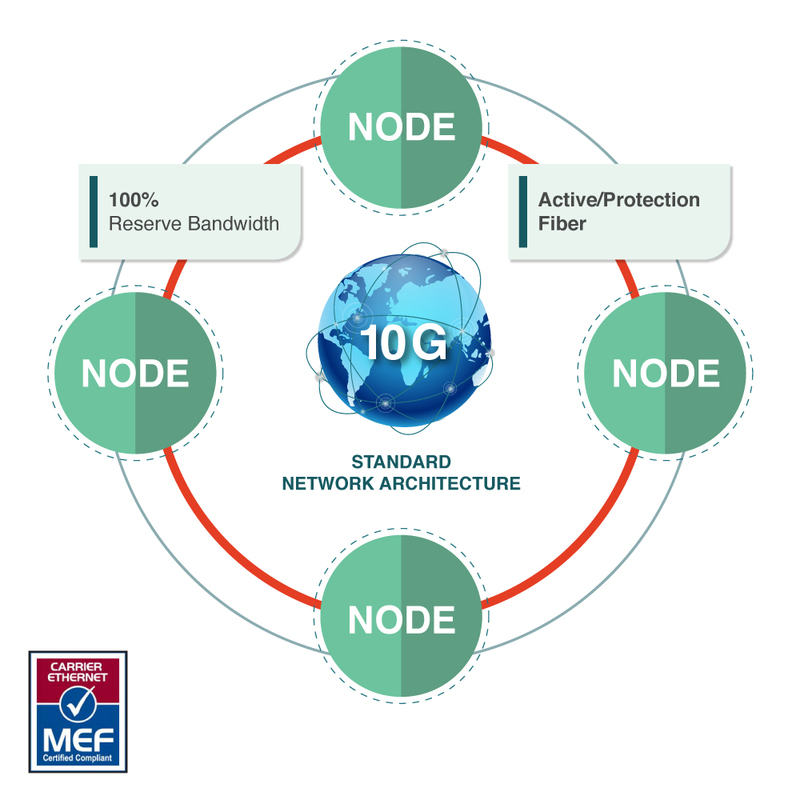 is a supplement to the MEF9 standard in regulating quality and speed in data transmission whereby service performance test has to be consistent with the distance in service. Selection of main network and sub-network installation site is another strategic factor in service provision; hence, attention has to be paid on location selection, cable routing, equipment installation site, main power and backup power systems and mobile power system by taking into consideration internal, external factors and every detail i.e. safety, convenience and even temperature and humidity control. Another important part is to ensure reliable and stable interconnections of network infrastructure to customer’s designated location or to other internet service providers via a ring network with capacity of 10 Gbps. and 100% backup bandwidth. Network security is also of great importance whereby Symphony installed 2 non-overlapping fiber optic routes for the main network to ensure safety and continuity in the event of any damage. In addition, there are at least 2 major backup equipments readily stand-by in the event of emergency.